For a small business in 2013 the ever growing landscape that is the internet has made trading and competing for customers one of the most exhilarating periods in history. From the birth of Ebay to the progression of internet shopping through high scale selling platforms like Etsy and Groupon that we frequent today, the era of internet shopping has, quite simply, gone from strength to strength. As a consequence more personal mediums like the once buzzing door to door salesmen, who made their fortunes by plying Henry Hoovers on unsuspecting bored housewives, have become positively extinct. Cramped shops are no longer needed on a local high street to target a limited market, and the need to scour a damp phone book looking for your name and number to ensure you were taken off a telesales call list has quickly demised, as the doors to the world were torn off and small businesses looked to the online world as means of getting your custom. To fast forward through to today the early days of Ebay are now over 18 years old –can you believe it! During these 18 years the sudden explosion of selling platforms has expanded at an unprecedented rate. From sites like Twitter to an eCommerce store; finding the right tools to manage your business has grown as well and with every new tool comes an abundance of features, which makes running your business that little bit easier. Choosing the right platform for your business can be a difficult choice though. With so many available it can seem like a childhood chore, or even a child in a sweet shop – which should you try? Finding the right social media tool with the right features to suit your business and help it prosper can be a difficult task. 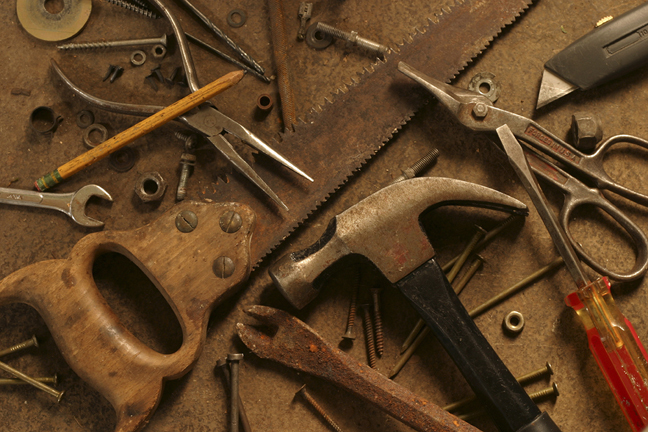 To aid you in this process take a look as we name our top 11 online tools for small businesses, and as always please do let us know if you have any you’d like featured! Running a small business is more than a day job, it takes over your life and becomes a 24 hours a day, 7 days a week commitment. With this in mind, if you’re a big fan of Twitter and Facebook, then it’s time to consider using Hootsuite. Its simple scheduling tools mean you can line up information to be posted out in the morning and simply keep a close eye on your engagement at certain intervals. This tool can really save you a lot of time and with great analytic tools to monitor clicks you can really delve into the statistics and pull together information which can boost your social engagement. As social media starts to become a bigger tool in small businesses marketing plans, the more we have to recognise the leverage good social media sites can have when finding customers to advocate and persuade people to buy from our businesses. With Veooz you can monitor engagement which is trending in your niche and target potential people who could advocate your products or services with an engaged following. It’s really simple to use, simply type in your product or service area, search the ‘buzz’ and find the top tweets. Unfortunately the tool is still in its beta mode, but hopefully in the future we will be able to segment tweets into location, making this tool even more useful to small local businesses. As we start to move into a more digitalised world, our USB’s slowly become more and more redundant. With our digital information becoming more vital it’s becoming more important to find safe and secure ways to store this information but at the same time, with easy and simple access. For small businesses we can’t think of a better tool for this than Dropbox. Simply drag and drop important information, images and video into your Dropbox tab and you have your information at your finger prints wherever you are in the world. With added apps on all mobile devices and simple sharing tools, you can assure clients, colleagues and customers can access the information they need in minutes. If you’re a small business, it’s important you know that email marketing is still one of the best performing sectors of online marketing and as a result, having an affordable email management system is critical when fulfilling your online marketing strategy. With Mailchimp, you have one of the most innovative email marketing platforms available, they’re constantly making developments to make a more effective platform and with the ability to design your email with HTML or using one of their hundreds of design templates ranging from the professional and sleek to the quirky and fun you can always be sure you email marketing has the personality of your business. It doesn’t stop there either, Mailchimp has some of the best reporting tools, which collect, analyse and the present your results in a visually impressive format, reporting everything from your click rates to clicks by location helping you analyse and improve your email marketing plan. As a small business, keeping track of your unpaid bills, client invoices and general transactions can be critical to bringing peace of mind during the busier days of delivering your service. With Wave Accounting Apps, you simply import your small business transaction data into a highly secure and classified application in 10 minutes and you now have all your latest financial business and personal information at your fingertips. The ability to now make reports and put notes on different accounts mean you can always keep a close eye on highly important transactions and at the same time export the reports into Excel saving you time and effort. Although this tool has some great features, and the modification of your accounts is endless it is recommended for a business with no more than 5 staff and it could make a great money management tool for the busy, on the go person. When you’re a small business and you’ve just started up, getting people to talk about your products can be hard work. You’ll be looking around at all the different blogs in your niche and you’ll grow slightly envious as you see blogs covering your competitor’s new service. Now you may be surprised to learn most of these posts are either paid for, or a social/link exchange will have taken place. So, if you’re looking for bloggers who will dedicate their time to talking about your products at minimum price then the Blogger Link Up site is great for finding the right blogger for you. Simply sign up for their email blast with your request and you’ll find your inbox flooded with blog offers. It’s also got a whole bunch of other features for creating great blog posts yourself, like the source/interview tool where you can find industry leaders who have the knowledge you need to create a factual and interesting blog piece. When you’re a small business owner you may have the skills to go out and build your service or product but you may not have the skills to design great graphics, or develop content for a site that is optimised for search engines. With this obviously comes the huge price of hiring someone who can deliver on these services and you’ll more than likely only need to hire on different occasions. With Elance you can hire freelancers in a matter of seconds, with the ability to dictate how much you pay and let people bid on your project. You can get almost any project done for you with a cost that matches the quality you desire and you can assure that you pay your freelancers in a secure way, when you’re satisfied with the job. Have you ever wondered who’s talking about your business across the web? Or alternatively do you want to find who’s talking exclusively about your competitors? As a small business with limited funds to spend on marketing, using Icerocket could be the tool which gives you an extra edge. Simply type in your brand into its search functionality (wait 5 minutes) and work your way through every mention of your brand on the internet. Working in the same way as Veooz, Icerocket puts your most recent mentions at the top or alternatively the website with the most authority. This can be used for a number of marketing activities, but one example we’ve seen used regularly is the monitoring of customers complaining about your service. If you’re a small local business who is looking to develop your appearance online, we can’t think of anything simpler than building a website or blog through WordPress. Why spend possibly thousands of pounds on outsourcing a website build, when you can design a professional website or blog in minutes with WordPress. With hundreds of stylish themes for you work through, and YouTube being constantly updated with How Tos and general tips and advice, what seems complicated at first will become clearer with time. Its free to use, has a massive user base who are constantly developing WordPress’ functionality and a buzzing forum which can answer any of your questions. WordPress has also released its Mobile support Apps meaning you can update your website on the go, delivering the information your customers need, when they need it, with nothing more than a mobile phone. If you hadn’t realised by now, photos are by far and away the number 1 resource when trying to capture people’s attention online. We photos or images in almost every area of our business to customer interaction whether it be social media, email marketing and our websites. Yet, when it comes to finding high quality images legally, it can be a struggle. So while trying to avoid paying a lot of money for a blog post we found Imgembed is the ultimate photo resource where images can be tracked, monetised and most importantly used in an ethical manner. With simple embed functions you don’t need to worry about ‘cease and desist’ notices or potentially being sued because each image is tracked and owned by the user who allow fair use. The photos don’t lack in quality either, and with thousands of photos being uploaded directly by the owner you can source high quality photos and only pay when you don’t want to credit the creator. As a small business you need the confidence that when a contract is signed, it’s legally binding, and one problem for small businesses is that it can take weeks for you to confirm and have your contracts in place. This all slows down the process of your business and quite often will cause a loss in sales and effort. With Our Deal you can use many of their templates to build your contracts (although it’s still advised you seek legal advice) , simply send and receive agreements in seconds. As they say ‘Create, send, and sign agreements in seconds’. For a small business the evolution of the internet over time has made online business more competitive than ever. As with any business, having an edge over your competitors is going to be critical for success and with these tools affording you extra time, saving money and keeping a close eye on competitors you can be sure to have the tools you need to succeed. Found a tool that’s right for your business? Tell us below, or tell us your experiences with any of the online tools mentioned above. 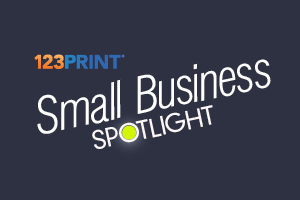 This week in the 123Print UK small business spotlight is Le Massage, a business which had a less unusual start but one which I’m sure will be an inspiration to many people. Read on as we meet Ariana, the founder of the massage therapy practice, who talks us through what makes Le Massage such a fantastic small British business. So Ariana, how did you get started with your business? I was ready for the next stage in my career: running my own business. Unlike the inspirational stories I read, or the people I knew, who happened to be arty, musical, sporty, or super techy, I was none of the above. I couldn’t think of any recyclable skills that I could found my business on. I knew I had to keep it simple, and capitalise on my strengths but it is not always easy to pull out of the bag what makes you unique and marketable at the same time. After a few eureka moments, and a lot of thinking out of the box, it became clear to me that my biggest asset was actually what I used to think of as my weakness: Fibromyalgia. How could I turn my chronic pain and chronic fatigue into a rewarding business venture? My connections did not understand Fibromyalgia, a syndrome falling under the Chronic Exhaustive Conditions umbrella, such as ME and Chronic Fatigue. I found inspiration within myself. From my personal experience, massage helps with chronic exhaustive conditions. However, few massage therapists in the UK were familiar with the condition, while other specialist clinics advocating treatments for Fibromyalgia came at a price tag that was beyond my reach. My epiphany came in a roundabout way, but in essence, I decided to open a Massage Therapy practice for the treatment of Chronic Exhaustive Conditions. My niche market was obvious to me: I would target professionals and business people affected with chronic pain. My differentiators flew naturally, as they were close to my heart: availability, affordability, understanding, in convivial, non-clinical surroundings. Wiki Definition: Fibromyalgia is characterised by chronic widespread pain and allodynia (a heightened and painful response to pressure). What are some challenges you faced in starting and growing your business? I was short on time and resources. I was working full-time in an all consuming job. As a single mum, family commitments were huge, and – I was not a Massage Therapist! My motivation to change my lifestyle and improve my well being were so powerful, that I embraced these many challenges. I retrained as a Massage Therapist by choosing an intensive course. It was tough but the intensity kept the pressure on and helped me focus on the end goal. Even before I passed (with a Distinction), I took the gamble to signing a lease on a therapy room in one of the most prestigious addresses in London. Once I was committed, there was no going back, and that pulled me through the last few weeks of arrowing revisions. The well-being business centre I set my sights on was simply too wonderful a space to miss. I loved the therapy room from the moment I walked in: it felt like it had my name on it. Massage addresses the symptoms, but with chronic exhaustive conditions, it helps longer term if we can work on the underlying causes, and thus I embarked on qualifying as a well-being coach, with more massage courses in between. Choosing to take on further training presented more financial challenges. I invested my website budget into well-being coaching training instead. By prioritising professional development over marketing, I was in the absurd situation of not having a website up and running by the time I opened my practice. The next hurdle was to get my practice on the map and get clients through the door. Everyone likes a giveaway, and (nearly) everyone loves massage. I offered promotional massages to targeted champions who would recommend me. The challenge here was that it could be a double-edged sword, and many therapists would disapprove of giving massages for free. I am lucky enough that my skills can be demonstrated over one session. I had the confidence that my skills were the best recommendation for my service. I had experience in building client relationships in a non-salesy way, and so I opted for this route as it felt right for me. What has been the proudest moment for you in your growth as a business? My business is still very new but I already have three milestones that spring to mind. What methods of online marketing have you found successful? I am still exploring various channels of online marketing, to find the avenues that are right for me and my target audience. I created a Facebook page for Le Massage, and a Twitter account @FibroWellbeing. My assumption is that Linkedin and Youtube will be a more natural fit, so that will be my next focus. I have an advert in the online UK Fibromyalgia newsletter to target my niche market: chronic pain. Many clients look online for reputable massage therapists. For this reason, I am registered with the CNHC (Complementary & Natural Healthcare Council), and the FHT (Federation of Holistic Therapists); featuring on the websites of governing and accrediting bodies demonstrates that I meet the professional standards backed up by the Government for my industry and that I am fully insured to practice. I released an online press release to mark the launch of my practice, which loops in with my website, Facebook page and Twitter account. I am planning more newsroom campaigns to engage my clients through stories. I have a promotional event in The Lanes of Mayfair, an online business directory. Here I am aiming at business through local businesses. As a business in the making, I am sharing the journey real time with other new entrepreneurs. This is where I feel that most of the support and spotlight are needed. Watch this space as I report back to base on the success of my various campaigns in a few weeks time. What other marketing materials do you use to promote your business? I had some lovely business cards made on 123print. I spent a huge amount of time creating two different templates to target clients from different angles, one aimed a professionals, the other emphasizing chronic exhaustive conditions. I am running small batches of 50 cards to check effectiveness. I am constantly improving the design and content, and trialling new batches at networking events for example. Once my branding and logo are ready, I will get leaflets and gift vouchers done as well in time for Christmas. Ask for critical input, take feedback constructively, but do not let your spirits be dampened. Don’t let yourself be held back. Surround yourself with positive people with entrepreneurial minds who will support and inspire you. Both your motivation and your circumstances will shape your determination to start your business and this combination is unique to you. My best advice would be to remember my three Fs “Fear of Failure is Futile”. Here at 123Print UK, we also want to provide real, useful information from the mouths of people who’ve created great businesses and transfer that information to people who will one day want to make a great business themselves. If you want to star in our small business spotlight then please contact us via our Facebook Page or comment below and we’ll get in touch. Don’t let your Halloween marketing become a horror story! When it comes to British Holidays, I think most of us can agree Halloween has to be one of the most amusing. Getting kitted out in your old Jedi suit and heading out to a friend’s party, whilst laughing and joking about your command of the ‘force’ is serious fun. And it would seem the majority of Brits are starting to agree; where Halloween was once treated as nothing more than a novelty kid’s activity involving forking out for various sweets, Halloween has slowly crept its way up the economic ladder and is now ranked Britain’s third most popular holiday. Fact: Halloween is estimated to be worth £300 Million in business revenue. For Small Businesses this means it’s no longer an option to simply ignore the holiday. With the Christmas and Easter landscape becoming only more competitive it’s important we try to take advantage of any holiday that may fit our niche, and with Halloween encompassing so many different elements, finding an angle for your business can be relatively simple. For most of us in small businesses the key element to taking advantage of the Halloween holiday is to simply get into the spirit. The great thing about Halloween is that we know it’s supposed to be ‘scary’ but there are no set rules! You don’t have to decorate your store in bats and torn up cotton balls, you can instead opt for something that reflects your business and carefully carve your brand into it. 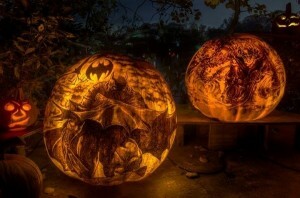 On the topic of carving, why not drop the traditional scary Halloween face and instead carve your logo into a pumpkin? Simple but effective! Yes this is a real thing, and believe it or not the little twist on the old knock-a-door phrase is having some serious success. It’s still over two weeks till Halloween lands on our doorsteps, but the # Hashtag has been tweeted 3,500 times just today alone! We like the idea of asking customers to behave like little kids and #trickortweet your twitter accounts for some big discounts on services and products. Yes it’s a little gimmicky, but it’s just one idea of many in how you can use social media to bring some fun to your Halloween marketing! We’ve talked about bringing your personality into your business before in our ‘Personalise your business post’ and we can’t think of a better way to bring your personality to the forefront of your business than at Halloween. If you’re thinking about dressing up as a scary wolf for the day in your office, why not share it around your social networks or even go for a whole blog post. It can always be a chore to find fresh blog content and donning a funky zombie outfit could leave a few of your customers chuckling, or running, depending on how much effort you put into it! 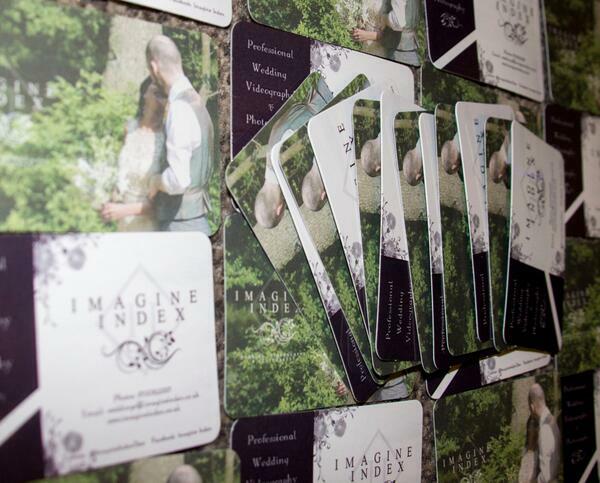 This week in the 123Print UK small business spotlight is Imagine Index, a North West start-up who offer high quality Wedding Videography and Photography. Read on as we meet Daniel, the man behind the unique and personal Videography, who talks us through what makes Imagine Index such a fantastic small British business. So Daniel, how did you get started with your business? 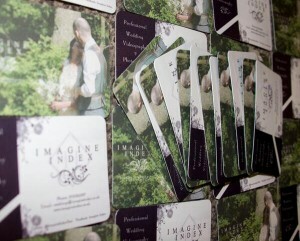 Imagine Index was established early this year. The company was formed when two of us got together and suggested we put our skills gained at university to a good use. Three of the four members are all from a media background which really helps the business, we are all technically and creatively ready for anything that is thrown at us. What really helps Imagine Index is the strong bond the team have and being so local. Being a new start up business, we have come across many challenges. Perhaps the main challenge for Imagine Index was sourcing our first paid job, however with the team’s persistence; we overcame this problem by adapting our marketing approach. 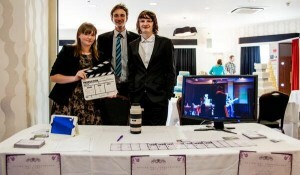 We now attend wedding fayres around the North West and meet Bride and Grooms to be, on a personal level. We have found this is the most effective way to get our name out there. 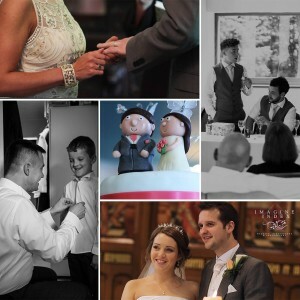 Being Wedding Videographers means we get to meet a great range of people and businesses. 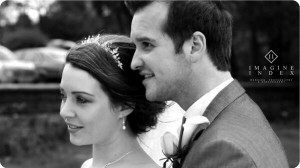 Our proudest moment as a company was perhaps filming a wedding in Chorley at Astley Hall. 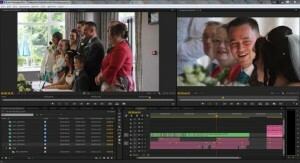 The Bride and Groom were superb and we managed to truly work as a team and make a fantastic wedding video. The end result made the couple very emotional and this meant we had done our job properly. Reading the testimonial from the newlyweds truly meant a lot to us, and really motivated us for our next job. Social Media plays a huge part in Imagine Index. All Crew members are active on different social sites to truly spread the word of Imagine Index. I look after Twitter and post on Facebook a lot; we also have a wedding blog on Tumblr and take pictures for Instagram whilst we are doing our job. The explosion of social media has truly helped us to keep in contact with not only any clients we have but local business as well. We also have a website which holds all the information we have as a company and shows everyone exactly what we do and what we offer. The most successful method of online marketing for us, is the business hours on twitter, we interact with so many local business and it makes us feel like we are part of an online community. Youtube also plays a huge part in our business as we can share videos with clients and businesses, it gives a real impression of what we do and what people can expect from us. Whilst we are at the wedding fayres, we have a great amount of promotional material, both digital and physical. We actually bought our business cards from 123 print and many clients have commented on the quality of the cards, we are also very happy with them. We also use other physical forms of advertisements including flyers and posters. We also have a digital portfolio on an iPad to show potential clients exactly what we do and the high quality of videos they can expect from us. Like I mentioned before, Imagine Index is still fairly new and we still have a long way to go. We would say go for it! It may feel like there are too many challenges to face and success may take its time. But it is important to remember with dedication and motivation you can really move your business forward. We feel social media is defiantly a way to get your business heard and known off and social media shouldn’t be ignored. Starting a business may feel like climbing up a mountain but if you are always moving and being productive, you will be slowly moving up the mountain and making your business more sustainable. Just go for it and follow your dreams, being passionate about what you do really does make a world of difference in your business.